We are excited to announce and introduce our NEW partnership and our permanent Color Glass Art for your memorial. Glass Act Studios from Utah have patented a revolutionizing concept of Colored Glass to create permanent everlasting color designs for your memorial. NO MORE FADED COLOR ETCHINGS, SEE WHAT GLASS CAN ADD FOR YOU! Even wet the color shines bright! Different color Grouts for differnt color stones! Put Color Glass Art in ANY color stone! Big thank you to the MORIN family for believing in our design vision of their beautiful view of Mt. Monadnock - NH overlooking Contoocook Lake. 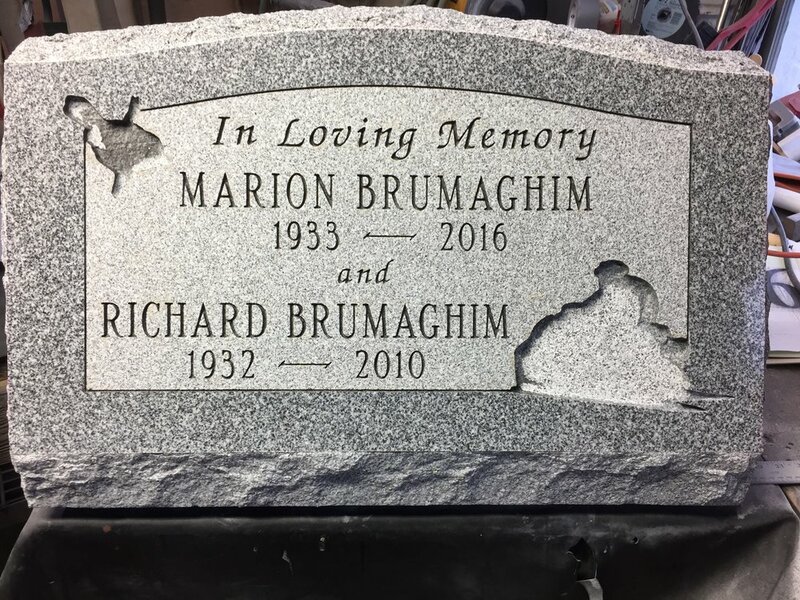 This monument design was created with custom glass art inlay, and a traditional black and white hand etching done by the talented hands at Buttura & Gherardi Granite Artisans. Above is a full-size drawing of a beautiful Hand Etching accompanied by a Colored Glass fall treeline and Mt. Monadnock skyline. 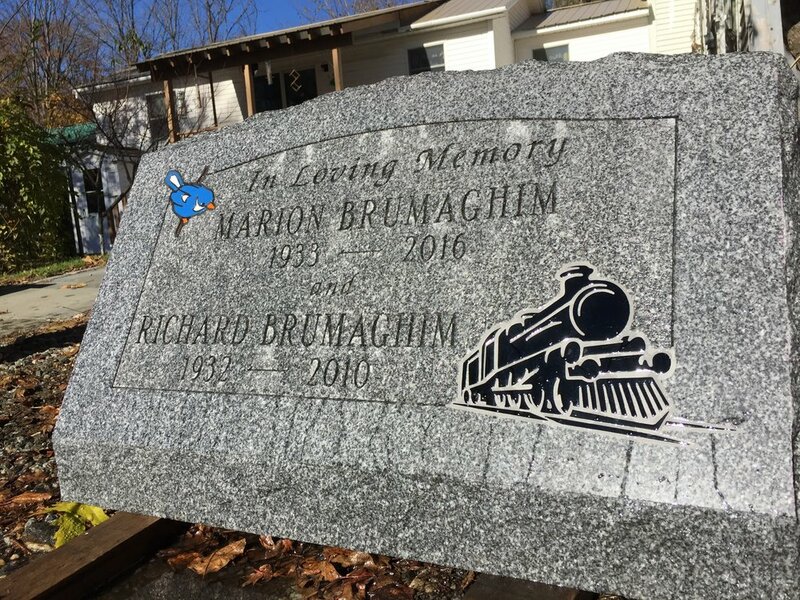 This stone, set in Hillsboro, NH, was originally completed with a full color etching of a red cardinal, added to the upper corner. After just one year the color had completely faded from the etching, and the family wanted to find a way to preserve the bright red colors of the bird. We suggested our new glass art inlays as a perfect solution to make the bird stand out and never fade. We are always happy to explore every design option with our customers to find and create the perfect fit for their needs.